It’s Saturday so part for the latest instalment of ’This Week in Wrestling’. Today, in part 17, Craig discusses the announcement of a Vince McMahon movie and looks at the results of this week’s blog polls while Brian shares all the best viral content he’s stumbled upon this week. So, the biggest story in the world of wrestling this week was the announcement that there will be a biopic released on the life of Vincent Kennedy McMahon. It was announced this week that John Requa and Glenn Ficarra (Crazy Stupid Love, Focus) are directing a film called ‘Pandemonium’. It transpired that the idea for the film had been kicking about for a while and had, in fact, been written, by Craig A. Williams. The hold-up came as a result of Vince McMahon and the WWE not being onboard. Recently, Andrew Lazar, the producer of “American Sniper,” was able to negotiate a deal with McMahon for the rights to his story. Once McMahon was on board, and the WWE Studios were part of the production team, the pitch then made the rounds in Hollywood and, rather unsurprisingly, garnered interest from multiple parties. Although much of the story is well known, thanks to multiple unofficial accounts of the lives and times of McMahon, this will be the first official telling of the story and the first on the big screen. It will cover a hell of a lot of ground. 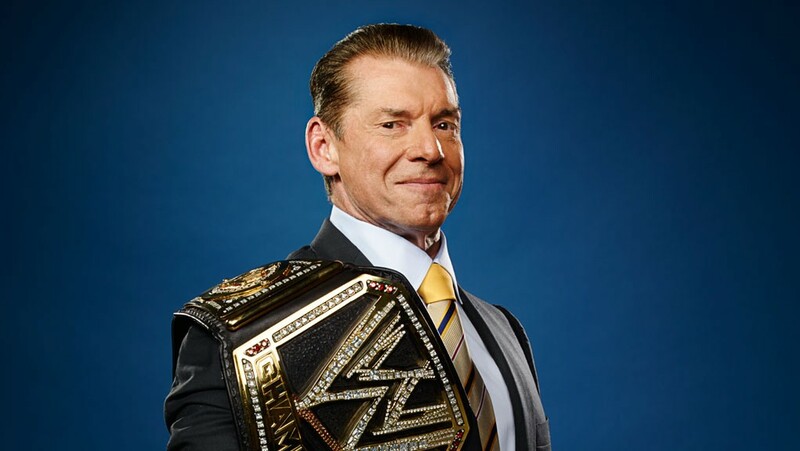 From growing up to first meeting his biological father – Vincent James McMahon – and then growing up around the wrestling business before going on to dominate it. We are likely to see much of the controversy, from the takeovers of rival promotions in the 80s and the steroid scandal at the start of the 90s, as well as all the successes along the way, including taking a north-west territory and turning it into a global phenomenon. There is every chance that some of the twists and turns may be diluted due to the WWE’s involvement – frankly, an independent telling of the story would be far more fascinating – but this is probably as good as it is going to get. The WWE studies just might get their first mainstream hit with this one. After several solid weeks, the quality of Raw significantly dropped this time around. In fact, the go-home show for tomorrow night’s Payback PPV was not so good. The first hour and a bit was solid enough and seemed to indicate the show would end up being successful in hyping the Raw PPV this month. Instead, it started to taper off and got gradually worse as it reached its conclusion. Smackdown was the opposite, it ended up being a very good show after a horrific opening segment. You are sometimes left wondering what skills the writing team bring to the party especially in segments such as the one featuring Dolph Ziggler and Shinsuke Nakamura. Questions need to be asked about how Ziggler’s Michael Jackson themed material made it past the first draft. Mercifully, it picked up with AJ Styles getting some steam behind him and Jinder Mahal getting the upper hand over Randy Orton. While Backlash might be further away, the build-up is well underway. While our readers rated NXT as excellent, I think that’s pushing things slightly. It was a very good show, that succeeded in placing Drew McIntyre and Aleister Black as the real deal on the show, as really they should be. Huge fan of Nikki Cross and keen to see how this programme with Ruby Riot plays out especially with it starting as well as it did. Reunited and it feels so good. 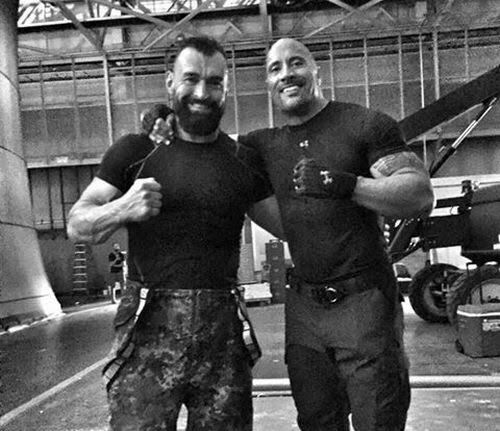 The Rock and the former Vladimir Kozlov on the set of the Fate of the Furious. 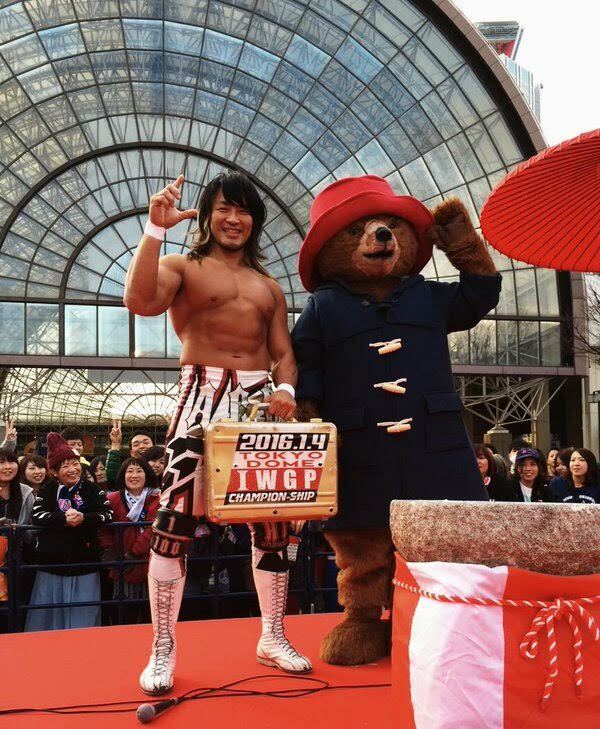 This picture of Hiroshi Tanahashi with Paddington Bear, in the States would be equivalent to seeing John Cena with the Money in the Bank briefcase posing for pictures with Barney the Dinosaur. 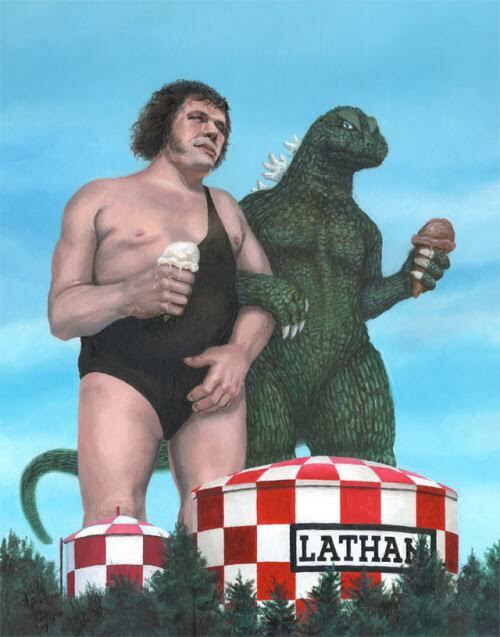 A drawing of Andre the Giant and Godzilla walking together eating ice cream. Because why not? 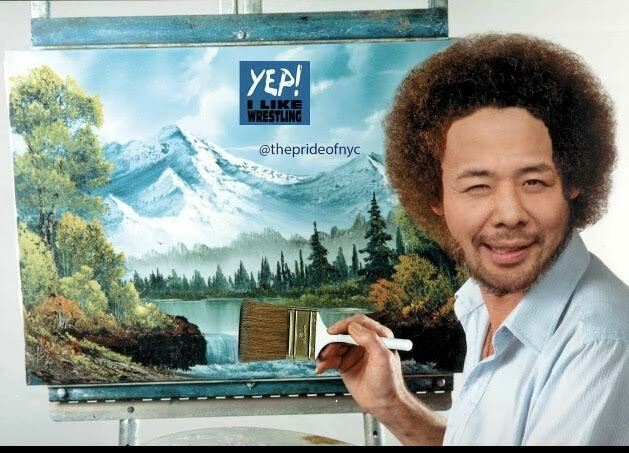 “The Artist” Formerly known as the King of Strong Style Shinsuke Nakamura. Speaking of art, we’ve all seen the painting of dogs playing poker. Well, here are managers playing poker. Okay, who remembers the WWF’s old entrance way? This recent segment on the Ellen Degeneres show was called Coachella Band or Professional wrestler. It is quite apparent by the wrestler they chose for the segment that they had no idea who that wrestler really was under the mask, Chris Benoit. In last week’s Sunday Sermon looked at the current WWE tag team division; on Monday we had part 16 of ‘Meanwhile, in WCW‘; Tuesday had part 111 of ‘Wrestling with Sin‘; on Wednesday we had part 6 of ‘Styles Clash: Clash of the Champions Revisited‘; Thursday’s Top Five looked at the top female wrestlers and we rounded off the week with a look at the WWF run of Johnny Polo. Tomorrow we preview and predict WWE Payback, we have the latest ‘Wrestling with Sin‘, the next instalment of ‘The History of the Intercontinental Title‘ and much, much more. All previous ‘This Week in Wrestling’ pieces can be read here. 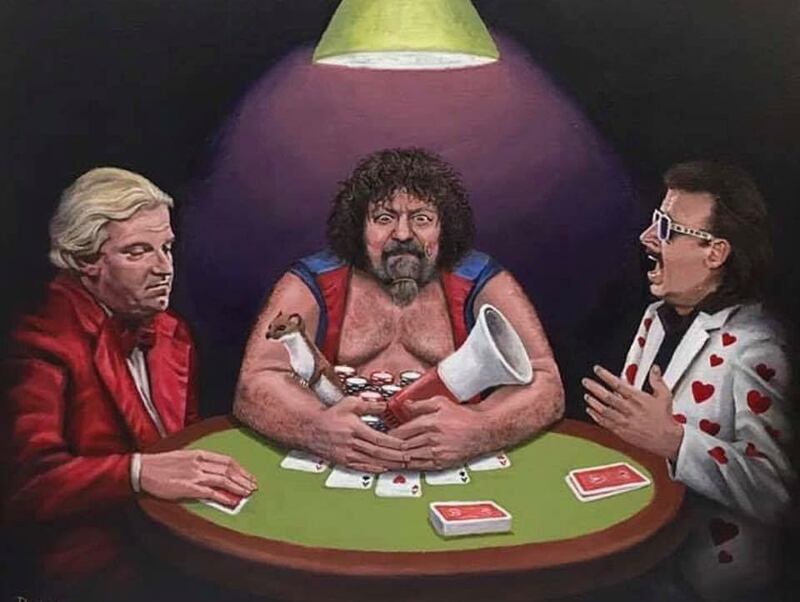 This entry was posted in This Week in Wrestling, WWE and tagged Andre the Giant, Bobby Heenan Lou Albana Jimmy Hart, Charlotte Flair, Ellen Degeneres show, Hiroshi Tanahashi, Shinsuke Nakamura, The Fate of the Furious, The Rock, Vince McMahon, Vince McMahon Biopic, Vince McMahon Pandemonium, Vladimir Kozlov. Bookmark the permalink.